Expo Veneto: The nature of Lake Garda and Monte Baldo by public transportation in one day! Tapahtuma > The nature of Lake Garda and Monte Baldo by public transportation in one day! THE NATURE OF LAKE GARDA AND MONTE BALDO BY PUBLIC TRANSPORTATION IN ONE DAY! Using public transportation (bus, boat and lift) we will plunge into nature through the most rich landscapes around Lake Garda. Traditional menus from local products. This Nature Friendly Tour, based on the sole use of public transportation, enables visitors to gain an excellent overview of natural and traditionally managed landscapes in the Verona area. With a bus we leave Verona for Malcesine, in the northernmost of the lake. This is a jewel of the lake, most favored even by Goethe; the castle setting is most popular sight for great shots. From here by lift we reach the northernmost part of Monte Baldo (1800 m asl) from where, on a clear day, the scenery is outstandingly vast: from the Po plain over to the morainic hills of the lower lake, then raising to the west northwards with the Brenta Dolomites, the Adamello, Carè Alto and Presanella summits (ranging well over 3000 m. asl. ); looking east-northwardly the Lessinia plateau, the Small Dolomites, and the true Dolomites on the horizon. Below lies spectacular Lake Garda, visible for most of its extension. Following a stroll along Monte Baldo’s ridge it will be pleasant to snack with a typical tyrolean range of dishes in local refuges/restaurants. We redescend to Malcesine to board a speed boat back towards Garda, touching the opposite shore of the lake in Lombardia Region. In Garda there will be some time to take one last look at this characteristic settlement. We shall return to Verona by 8p.m. A total immersion in the full range of Veneto landscapes, referring throughout to the themes of sustainability of Expo 2015: Planet, Nature, Food and Life. Departures: Mon, Wed and Fry 8.00 a.m. Please be on time. Length: 12 hours, return by 8 p.m.
Meeting point: ATV Bus Station, in front of Verona main train station (Porta Nuova), Piazzale 25 Aprile, platform of line 164 Peschiera. 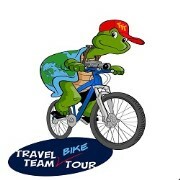 - The tour departs with a minimum of two participants and may be cancelled if this quota is not attained. - We advise clothing adeguate for mountain environments as low temperatures or wind may be a factor even in summer. Also sun cream and protective sunglasses if sensitive to strong light.